Dierks Bentley: Baby No. 3 On The Way! 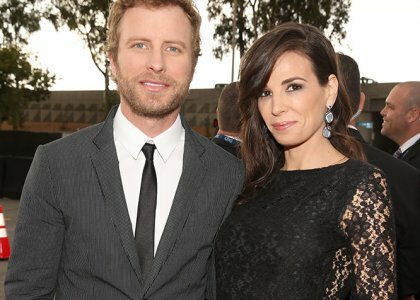 Two-time CMT Music Award winner Dierks Bentley is expecting his third child with wife Cassidy. The talented country singer shared the news via Twitter on Wednesday (April 24), writing, "So my wife and I will be changing our family defensive strategy come the fall. Switching from man-to-man to zone. #3!" In addition to the Cassidy’s bun in the oven, the couple is parents to daughters Evie, 4, and Jordan, 2. His fellow country singer pal Tim has three daughters with wife Faith Hill. Back in November the 37-year-old told Parade magazine that he would be totally content living in an all-female household. Well, I got two boys. I got Jake and George, my two dogs, and I'm good. We're really happy with what we've got. My brother has three girls, so I think I'll stick with two, but you never know."